With recreational marijuana now legal in the state of Oregon, there’s growing interest in how to address the energy-intensive marijuana industry. In the meantime, the Energy Trust offers the same energy efficiency incentives it offers other industries, she said. They can be found here. Energy use by marijuana growers is a growing concern in states that have legalized marijuana. For example, in Colorado — the first state to legalize recreational marijuana use — the industry has been associated with high electricity usage in Denver. A 2011 Lawrence Berkeley National Laboratory report estimated that cannabis production in the US (legal and illegal) consumed one percent of the electricity used in the US, representing $6 billion a year. “The unchecked growth of electricity demand in this sector confounds energy forecasts and obscures savings from energy efficiency programs and policies,” the study found. About 13,000 kWh/year of electricity is required to produce one pound of pot. 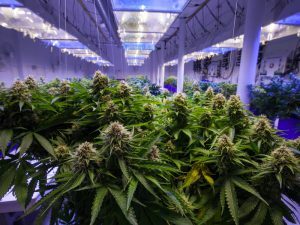 On a square-foot basis, it takes 356 percent more energy to run a marijuana growing operation than it takes to operate a hospital, the study found. In Oregon, new legislation related to the legalization of marijuana, HB 3400, created a Task Force on Cannabis Environmental Best Practices. The Energy Trust of Oregon is one of several organization appointed by the governor to the task force, said Hacker. “We will bring to the task force our expertise and experience related to serving agricultural customers in general as well as our recent, though limited, experience serving legal medical marijuana businesses,” she said. For those interested in following efforts to reduce energy consumption in the marijuana growing industry, it’s a good idea to keep an eye on Oregon, which is well known for its progressive energy policies and environmental leadership. Track news about distributed energy resources. 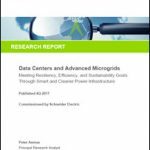 Subscribe to the free Microgrid Knowledge newsletter. Do any of the ignorant outsiders ever stop to think that maybe the laws have something to do with the way cannabis is grown? Do you really thing that people trek 5 miles into the wilderness to grow cannabis because it can’t be grown anywhere else? Let’s account for the fact that the government will put you in jail and steal your property if you get caught. I’m sure there are people that are just plain thieves who steal electricity but the fact that people get busted because of high electric bills has at least something to do with it. 1300 kWh per year to grow a pound? That’s beyond absurd. Under an HID 1 gram per watt every 120 days is the benchmark for competence. E.g. a 1,000 watt light would produce 1000 grams in 120 days. That’s 12 kWh per day x 120 = 1,440 kwh to produce a kilo. There are people who are known to have exceeded 2 grams per watt. All stars for certain, but not at all uncommon. How in the world can you write an article about indoor growing energy consumption and not even mention LED grow lights? Within 5 years the entire industry will be converted to LEDs. I will grow outdoors when property good ag ground is the same rent as a ware house and you pay the same price and expect lower quality on average. Clearly we need to build liquid fluoride thorium reactors (LFTRs). LFTRs are safe and do not have any of the problems that are inherent in uranium reactors. LFTRs can also be used to create fuels. We would not care how much it cost to grow medical marijuana if LFTRs were online now. 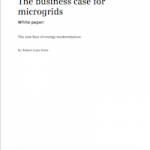 LFTRs can be very small and would work great in Microgrid environments. We stopped research on these reactors in the 50’s because they don’t produce any byproducts that can used in nuclear bombs.